All Electric Scooters updates the AmeriGlide Traveller! 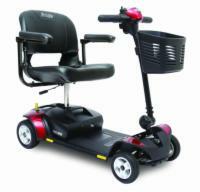 December 26th, 2011 – Raleigh, NC - All Electric Scooters, an online retailer of mobility scooters for the disabled and elderly, is excited to announce that the AmeriGlide Traveler has received an upgrade! Beyond a new modern design, the AmeriGlide Traveler now features non-scuffing tires and a higher 2.5” ground clearance. The new AmeriGlide Traveler is available starting immediately and pricing remains the same at $549. This product is also available for quick ship for the holidays. 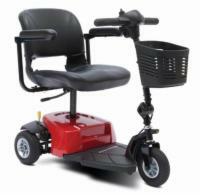 All Electric Scooters is an online retailer of mobility scooters and mobility lifts for the disabled and elderly. Their product catalog includes mobility scooters, vehicle ramps, and other scooter accessories. For more information please visit their website, www.AllElectricScooters.com.